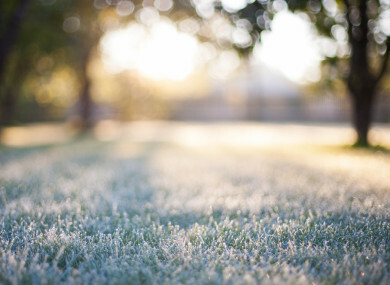 THE RECENT SUNNY spell has come to an end as frosty spring conditions look set to return before the weekend. Temperatures hit a balmy 17 degrees Celsius as Ireland basked in what felt like the early arrival of summer in recent days. And although relatively warm weather will continue today, Met Éireann has forecast misty cloudy conditions across the country, with just a few bright spells. Motorists have also been warned to take care this morning, with heavy fog reported on several routes, particularly in the midlands and the east of the country. AA Roadwatch has reminded motorists to drive safely and to use their fog lights when driving through affected areas. Meanwhile, there will be some occasional patches of light rain throughout the day, as top temperatures reach between 10 and 14 degrees Celsius. Tonight will see temperatures cool significantly, as lowest temperatures hit between 1 and 4 degrees on what will be a clear, dry night. Email “Sunny spell ends as frost to return and temperatures to drop tonight”. Feedback on “Sunny spell ends as frost to return and temperatures to drop tonight”.